Hi Stampers! Today's inspiration came to me from my good friend Lori! 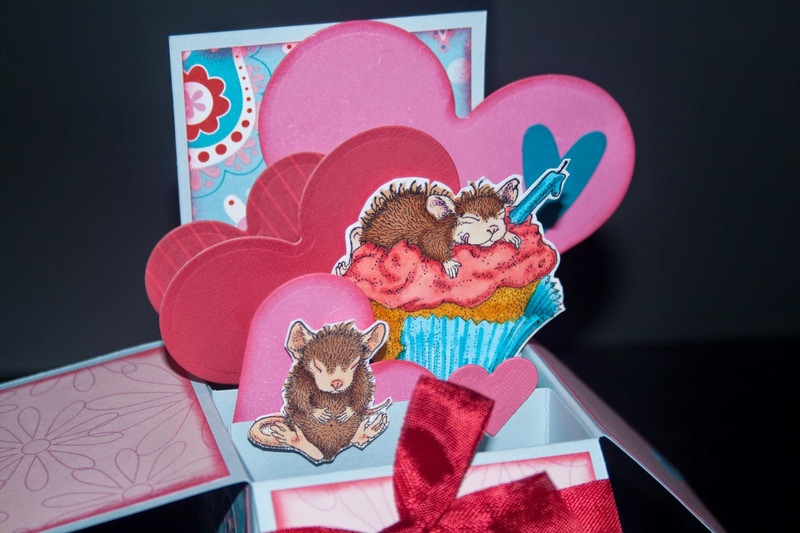 It's her birthday today and we got together to play....she needed a card for her sister's birthday which is also today and wanted to make one of these pop-up box cards. You can find the directions here on Splitcoast Stampers. 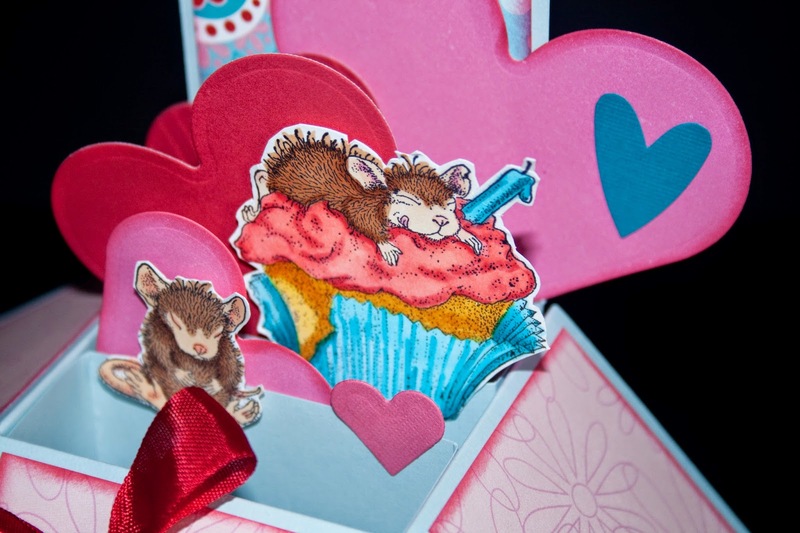 The theme was cupcakes....so I pulled out my House Mouse stamp and we played and had some fun! 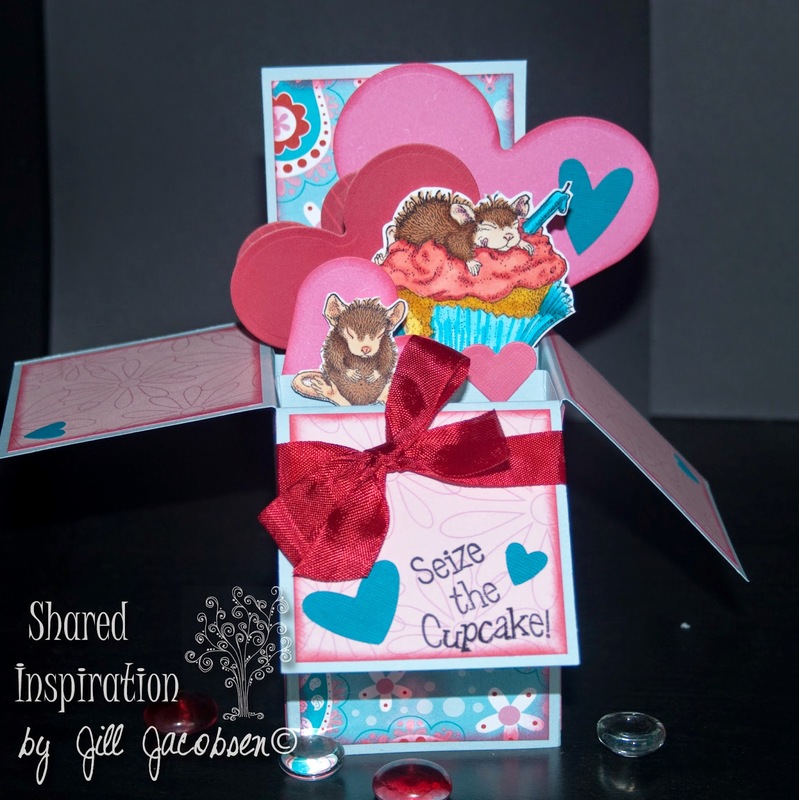 The sentiment stamp comes from Sparkle N Sprinkle. I hope you have a cupcake day covered with lots of sweet frosting!